Joy is found in the Lord, not in things. Joy is found in knowing that he always accompanies, sustains, helps, protects, and upholds me. 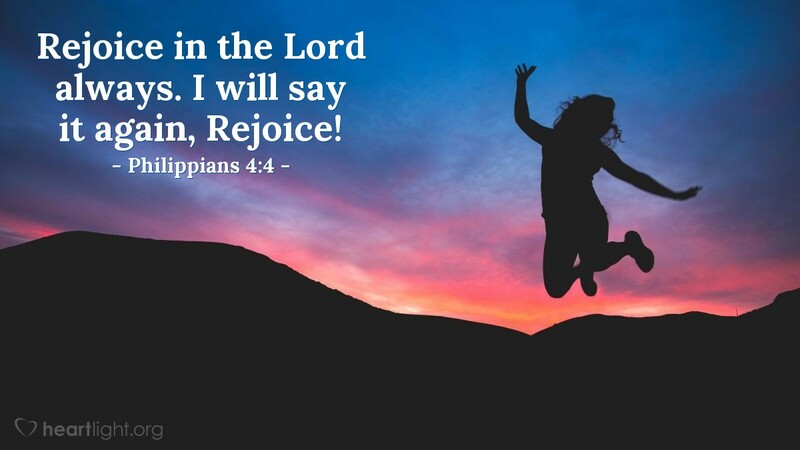 How can I not rejoice? God loves me so much that he emptied heaven of his greatest treasure so that I could join him in glory. Joy is mine because of his grace. Precious Father, thank you for always being there and knowing what is on my heart and caring for me in ways that I cannot even imagine. I long to know you face to face and share in the unbridled joy of heaven with you. Until then, I truly rejoice because I know my future is in your hands! Thank you in the name of Jesus Christ my Lord. Amen.